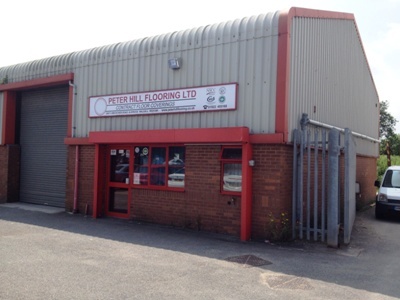 WELCOME TO PETERHILL FLOORING - CELEBRATING OVER 50 YEARS!! Peter Hill Flooring is a Midland based flooring contractor of long standing, having being formed in 1962 by Peter Hill. 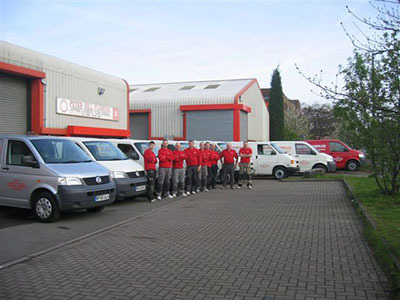 We became a limited company in 1997 which enabled us to broaden our customer base into both the public and private sectors. We are recommended contractors for many famous household and high street names, and several major building contractors. Our work also encompasses HM Prisons both directly and indirectly, thoughout the UK including HMP Stocken, Wandsworth, Onley, Holloway etc. We are also part of the framework for HM Revenue & Customs offices thoughout the UK. We carry out works for private care/nursing homes and we have also worked with housing associations in conjunction with major contractors. We recently completed a substantial refurbishment for DeVere Hotels at the Ricoh Arena, King Edwards School Birmingham, major student accommodation blocks in Birmingham etc, and we are currently undertaking several projects some of which are the refurbishment of Crown Post Offices throughout the UK, and Fire Stations in the Midlands region. We are accredited with CHAS, Constructionline and Safecontractor and all our operatives are CRB checked (enhanced) and hold CSCS cards.